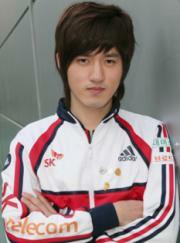 Kim "Bisu" Taek Yong is a Korean StarCraft: Brood War player, formerly a StarCraft II player. At present, Bisu is ranked #270 in highest overall earnings, and #55 in highest earnings for players from Korea, Republic of. Bisu had won $116,615.86 in cash prizes from 8 tournaments before he turn 18 years old. 34.97% of his total prize money was earned before November 3, 2007. Out of the 55 tournaments awarding cash prizes that Bisu had competed in, the largest amount was $54,504.83 from GOMTV MSL #2 2007 on July 14, 2007. He placed 1st, making up 16.34% of his total prize money won. Bisu overtook the $100,000 milestone on July 14, 2007, winning $54,504.83 and placing 1st at GOMTV MSL #2 2007. Prize money from 6 tournaments got him to that point.